After a year of negotiations, NATO has approved on Thursday the establishment of a special unit to monitor risks in the Black Sea region. The structure will operate under NATO’s maritime headquarters in the UK. It will have responsibilities in coordinating the naval exercises in the region, digi24.ro informs, quoting news.ro. 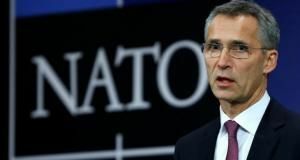 NATO Secretary General Jens Stoltenberg has stated that the alliance is to complete the strengthening of the regional land and air position on the basis of a multinational brigade in Romania. Eight allies are ready to provide personnel for a brigade, other five allies have envisaged land and air forces for training and air police, Stoltenberg added. He stressed the increased maritime measures, a higher naval presence in the Black Sea for improved drills and warning exercises and coordination of the naval forces of the allied forces in the Black Sea, the sources inform. 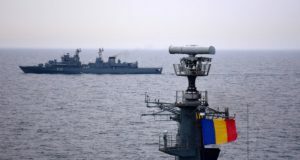 Romania demanded at the past NATO summit the set up of a NATO centre for exercises at the Black Sea, however a decision has been postponed due to the position adopted by Bulgaria and Turkey. 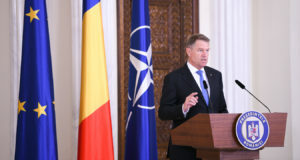 In his turn, Romanian Defence Minister Gabriel Les has said that “13 allies are ready to take part with forces or troops, officers or financial support to the land force (the multinational brigade in Romania) as well as aircraft for air police over Romania.” He also announced the decision to increase the NATO naval presence in the Black sea. 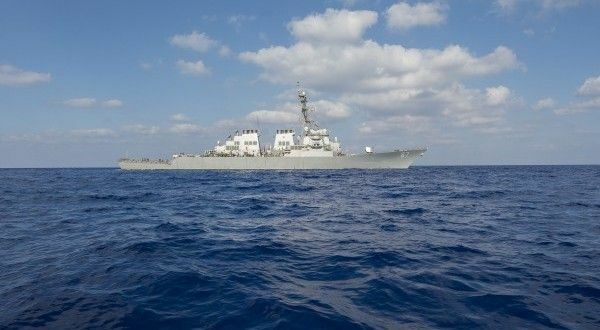 “This naval presence will include exercises and training that will involve NATO permanent naval forces, together with the vessels of the riparian allied states and other interested allies. NATO will coordinate these maritime activities which will enable enhanced surveillance by the Alliance of the situation in the region and coherence of NATO activities in the Black Sea and the maritime activities of the Alliance as a whole,” minister Les said. “All these actions will be carried out in accordance with the Montreux Convention. The increased NATO presence has a defensive character, is a balanced measure to increase interoperability and thus strengthening our defence capacity,” Les added. “I believe the decision confirms the strategic role of the Black Sea as part of the Euro-Atlantic security and stability as well as the alliance’s solidarity to Romania,” the defence minister said. NATO is constantly trying to draw Russia into a confrontation, Russian President Vladimir Putin has said. He added that members of the alliance continue to interfere in Russia’s domestic affairs, rt.com reports. NATO with its “newly-declared official mission to deter Russia” is one such threat, Putin said. “This is the goal behind the expansion of this military bloc. It happened before, but now they have found a new justification which they believe to be serious,” Putin said. Putin added that foreign intelligence agencies continue intensive operations in Russia, rt.com also informs. “In the past year 53 foreign intelligence operatives and 386 agents of foreign intelligence services have been busted,” he said. Vladimir Putin also expressed regret over Russia and Western nations no longer coordinating efforts to fight against common enemies such as terrorist groups.